Able Multipage View is a TIFF viewer and converter, offers you a full solution for viewing, printing, saving, converting (for Windows 10, Windows 8, Windows 7, Windows Vista, XP and older systems). Other features include automatic image processing tools useful for touching up scanned images; handle fax images with different horizontal and vertical DPI resolution. Able Multipage View can show all kinds of TIFF, TIF, FAX images, multipage TIFF and multipage FAX images (rev.6.0, Packbits, LZW, CCITT G.3 and G.4) with RGB, CMYK, B/W, animated GIF and Multipage PCX (DCX). Also TIFF, FAX (CCITT3), G3F and G3N (Zetafax) formats supported for loading. 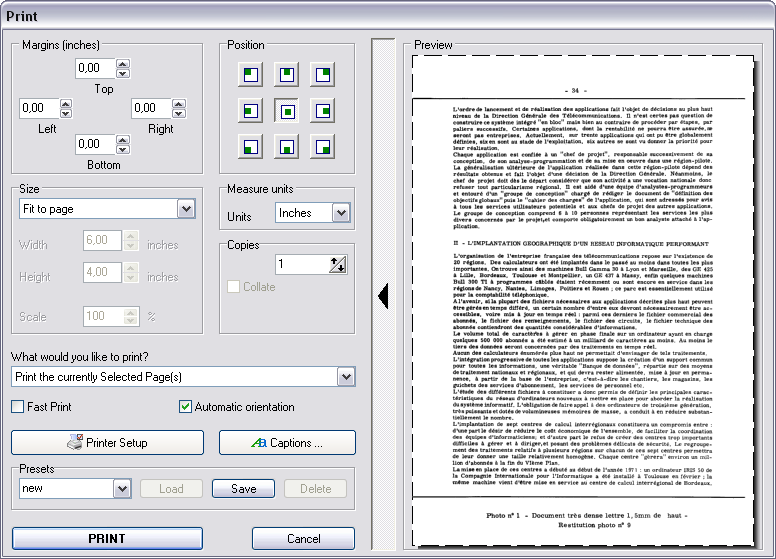 Able Multipage View supports many TIFF, FAX file formats. Supported 4, 8, 16, 32, 64, 128 and 256 colors paletted images. Able Multipage View can convert TIFF and FAX files to standard TIFF/FAX format, JPEG format (RGB, GrayScale, YCbCr, CMYK, YCbCrK), PNG, BMP, Adobe PDF, PCX, PostScript PS, Wireless Bitmap WBMP, GIF, DIB, RLE, TGA (TARGA, VDA, ICB, VST, PIX), Portable Bitmap PBM, PGM and PPM. 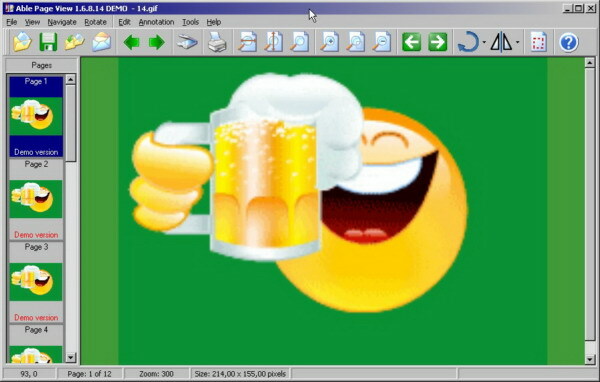 Able Multipage View software is a small, fast and efficient viewer and converter for Windows 9x/Me/NT/2K/XP/Windows Vista/Windows 7/ Windows 8/ Windows 10.